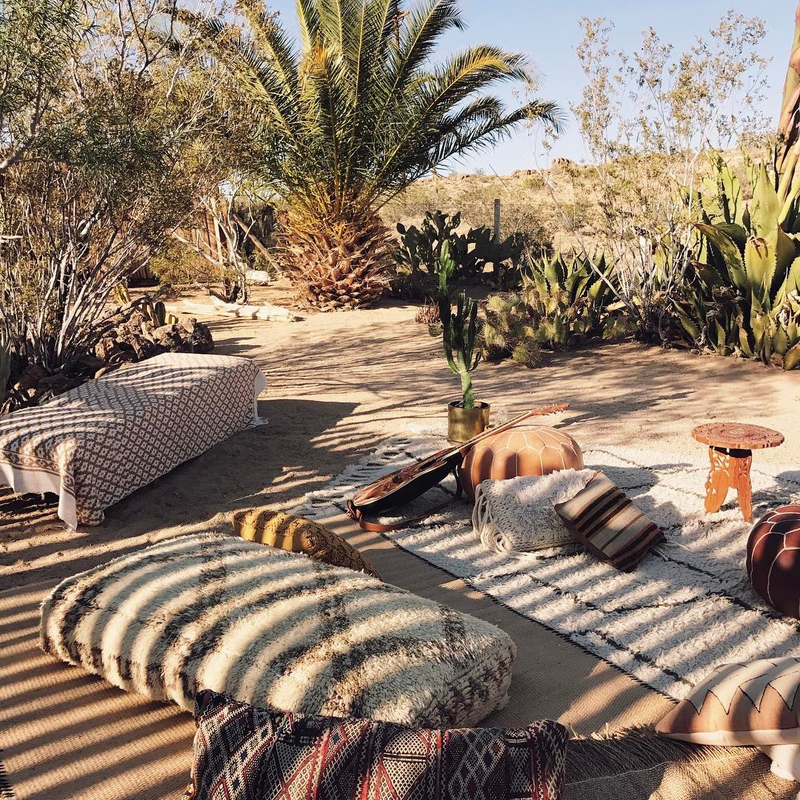 Who: Designers and desert wanderers Sara and Rich Combs have zigzagged tons of the U.S. national parks, but it was Joshua Tree that won their hearts. 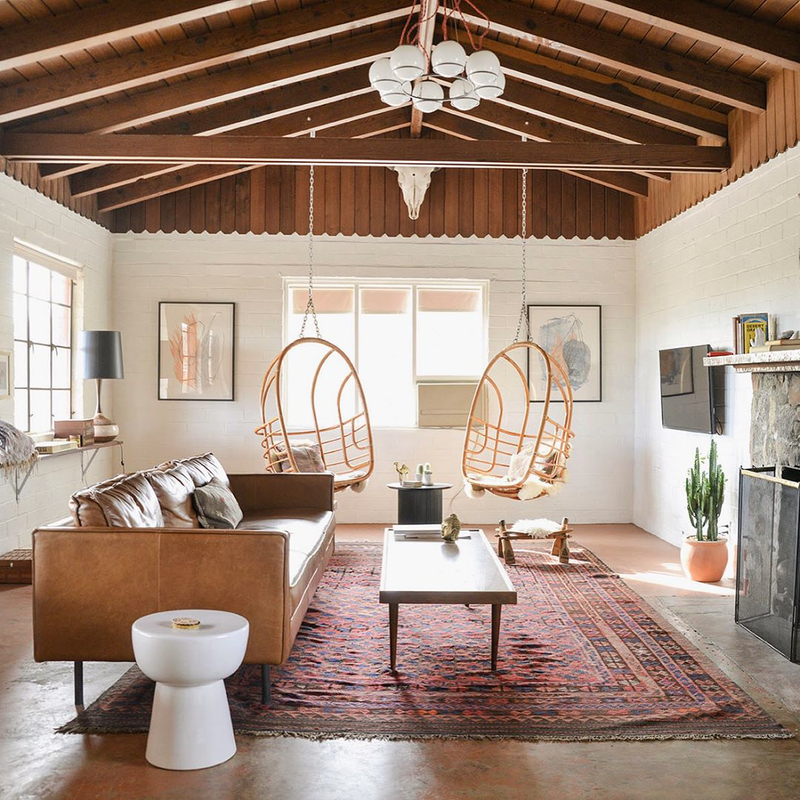 So, the duo bought two run-down 1950’s-era properties in the desert—a quick two-and-a-half-hour drive from LA—and decked them out with photoshoot-ready, modern and earthy decor inspired by the native flora and fauna. 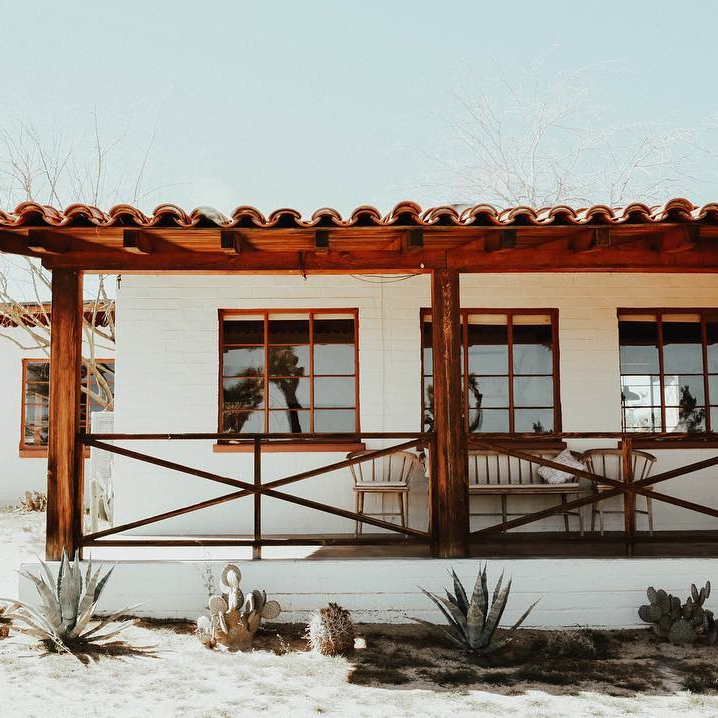 The results are a design lover’s ideal escape: The Joshua Tree House and The Joshua Tree Casita, both of which are available to strangers like you and me via Airbnb and have garnered quite an Instagram following. Rather than hide or repair the effects of the harsh wind, sun and rain, the Combs celebrate and incorporate the beauty of natural decay in their designs for what we like to think of as the ultimate glamping experience. 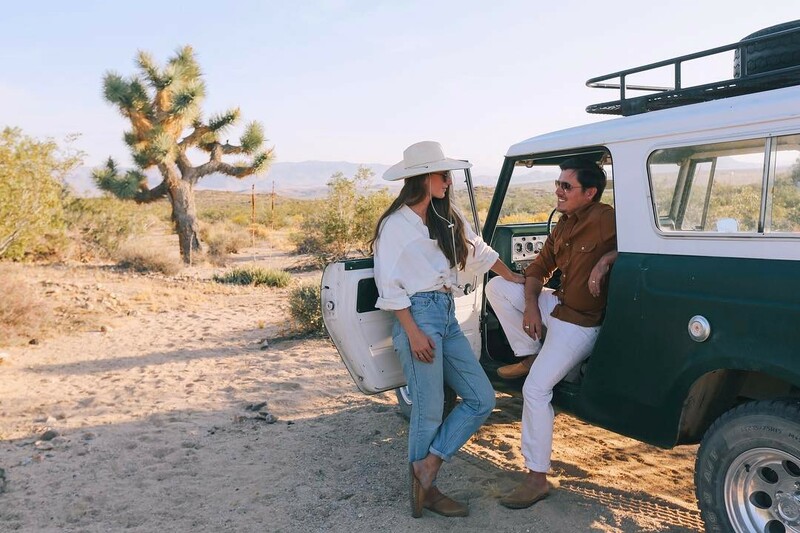 We caught up with the couple to get the lowdown on all things J Tree so that you know exactly where to eat, shop, hike and lose yourself in the endless horizon once you book a long weekend at one of their glorious desert properties. 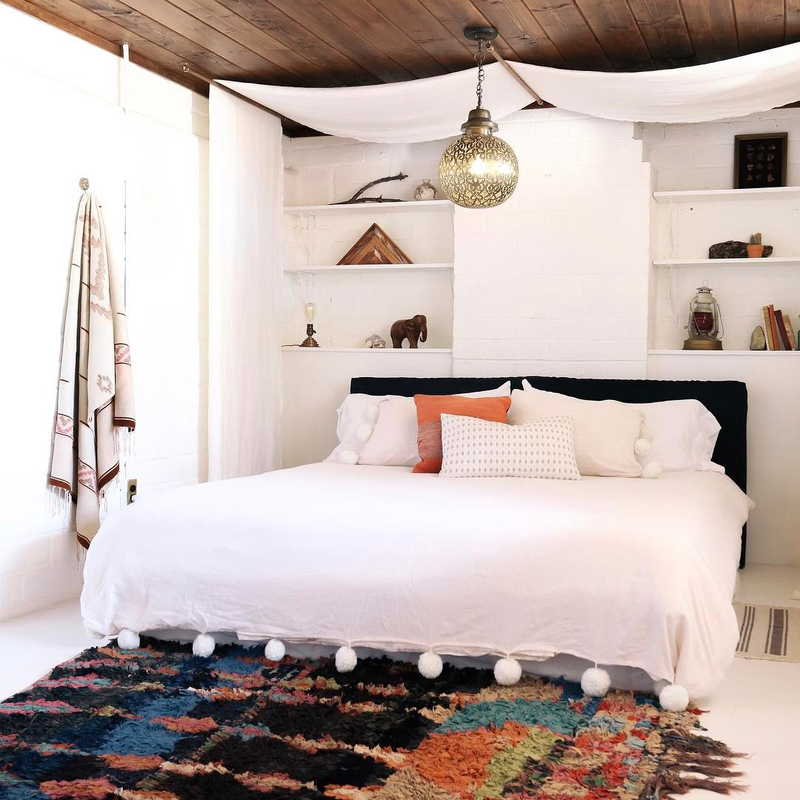 Sara & Rich Combs: This is the first house we designed in Joshua Tree! The house has a ton of character dating back to 1949. Our hope is that our guests use it as a space to reflect, rest and create. SC & RC: After designing the house, we were addicted! We wanted to design a second space with completely silent surroundings and a full starry night sky. 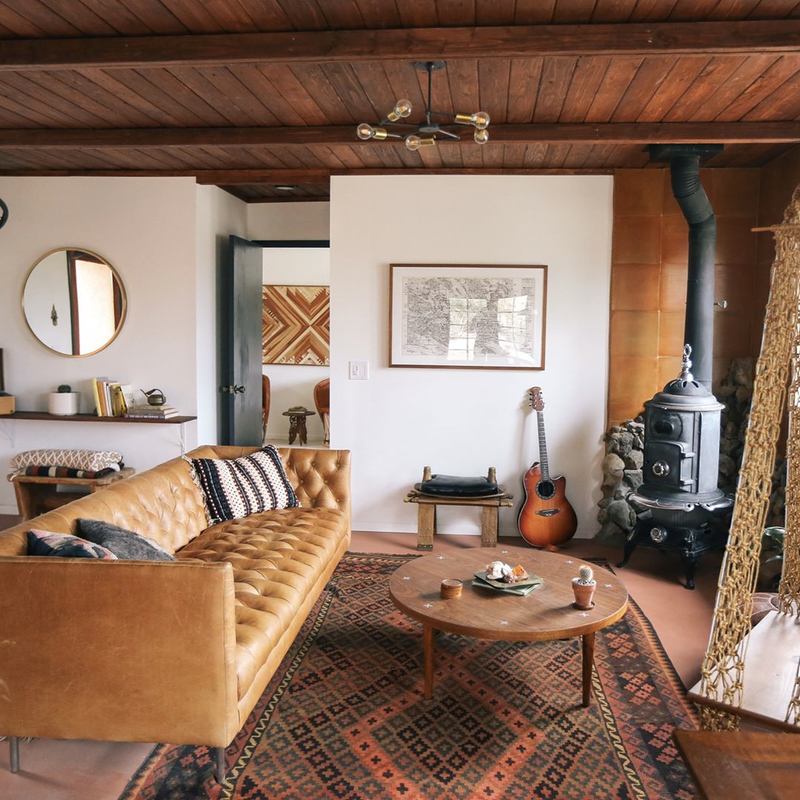 The casita is also available for rent on Airbnb! SC & RC: When we first moved to the desert, it definitely wasn't for the food. Yet, La Copine opened up and changed everything. 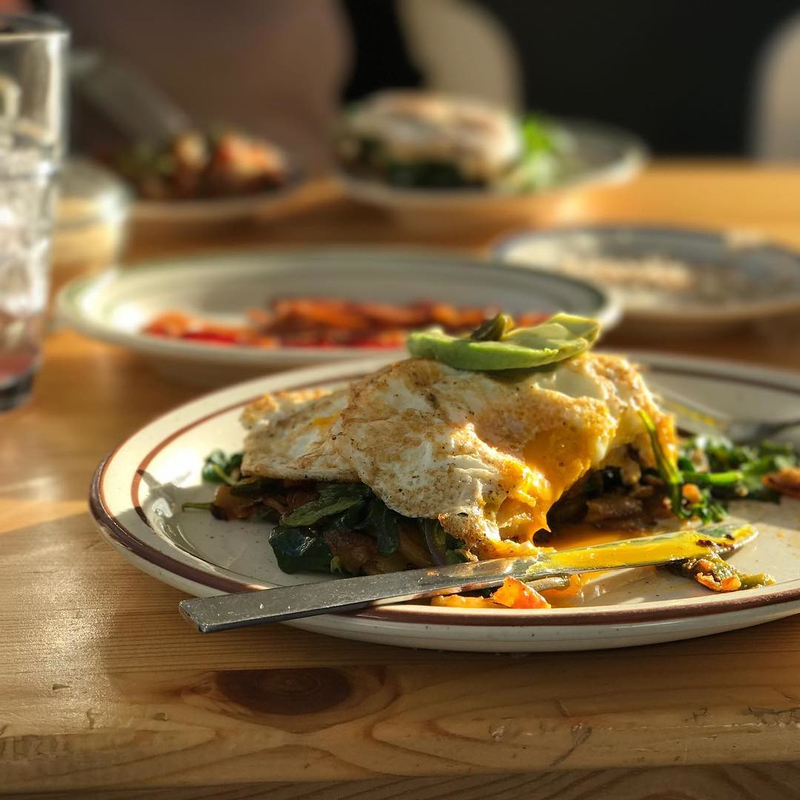 It's our number one brunch spot. Don't forget to try the Royal Crumpet! 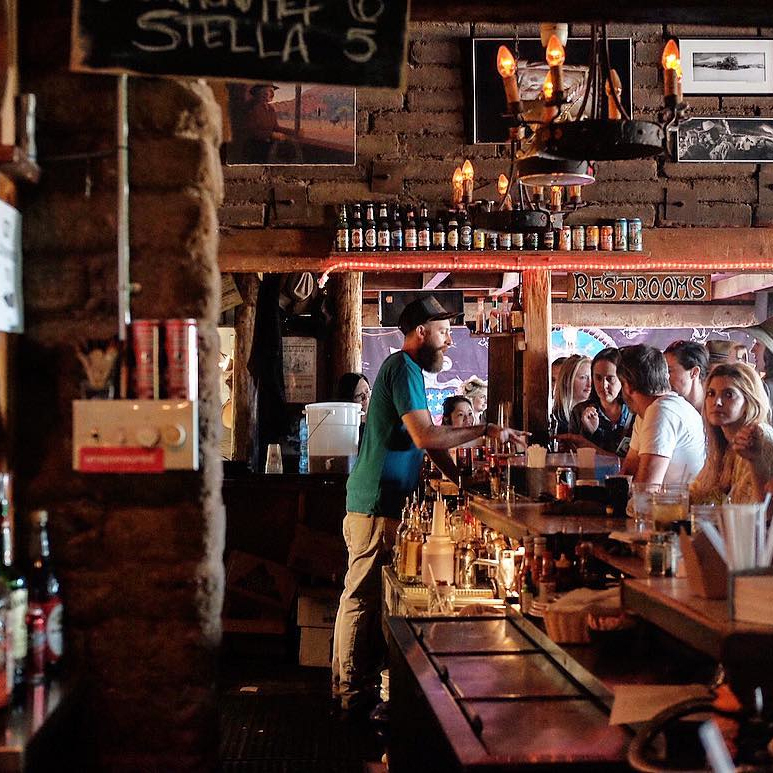 SC & RC: Pappy's is another one of our favorite restaurants and an amazing venue. We've seen some incredible shows out back underneath the stars ... Future Islands, Toro y Moi and Caribou to name drop a few. 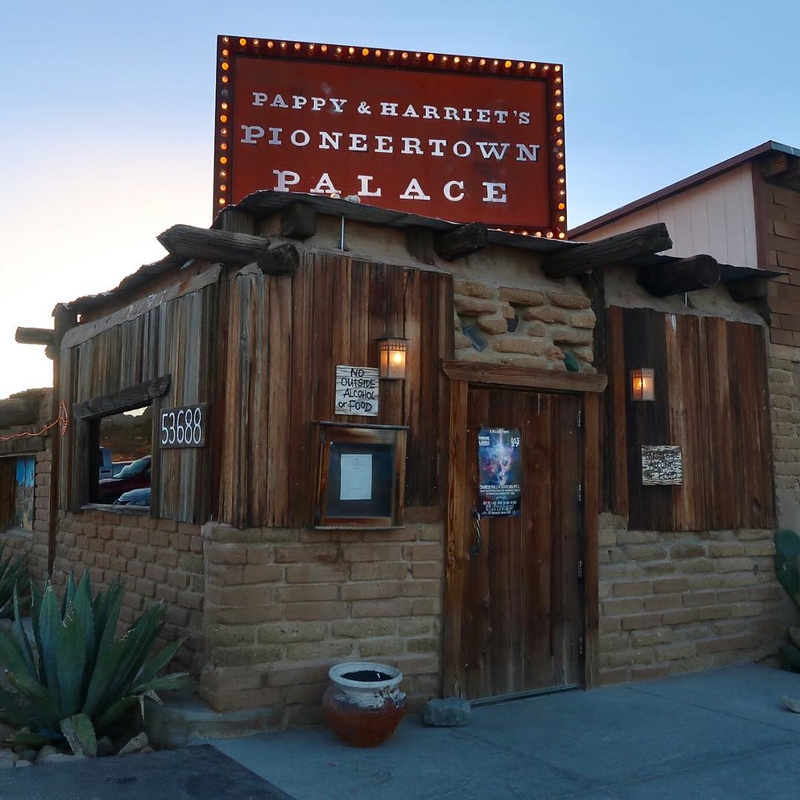 Paul McCartney even played here once! 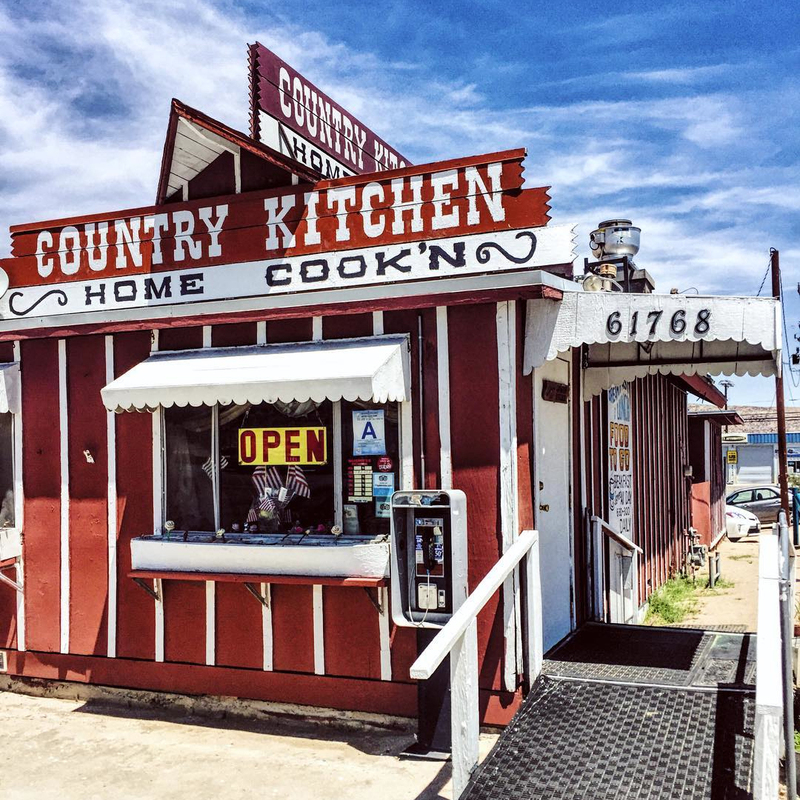 SC & RC: This sweet little restaurant in the center of Joshua Tree is our go to comfort food spot. For breakfast, we go for the eggs and toast, and for lunch the peanut tea leaf salad! 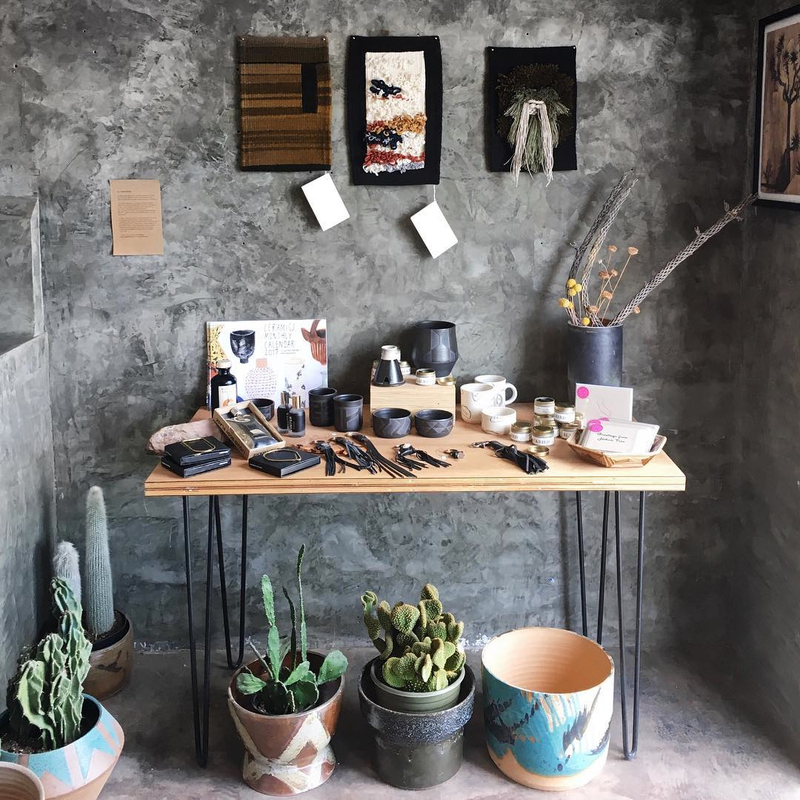 SC & RC: Bkb Ceramics is our favorite shop in the heart of Joshua Tree. It’s a wonderful curation of locally made ceramics, books, artwork and other home goods. 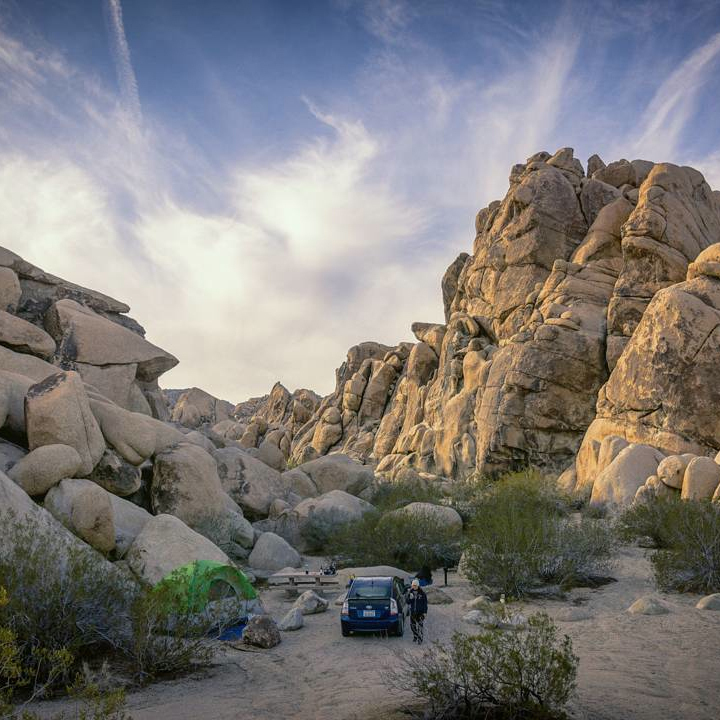 SC & RC: Every Saturday you’ll find tents covering a parking lot in the middle of Joshua Tree. 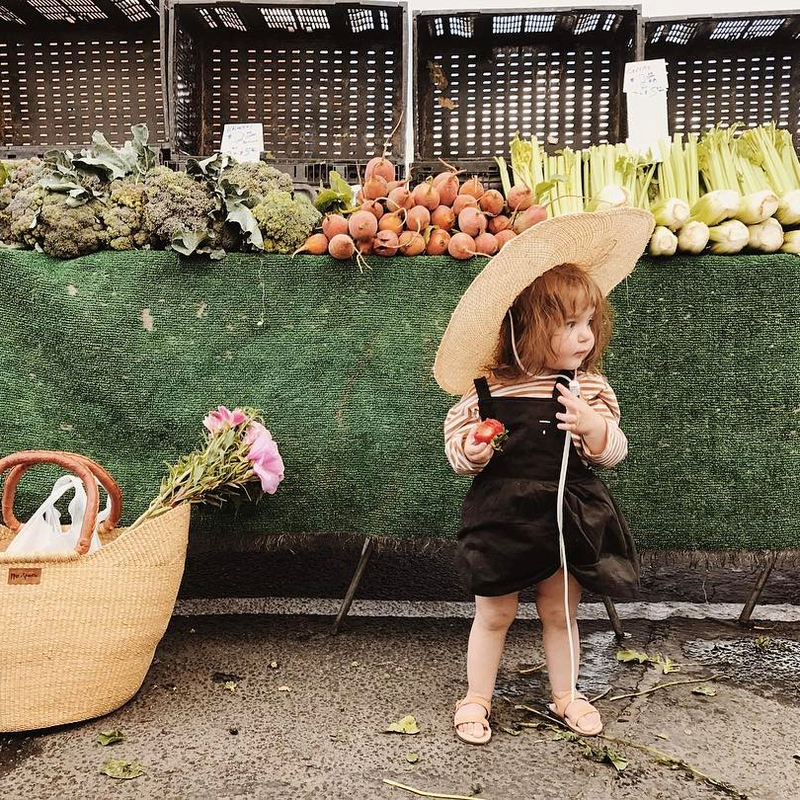 We love stopping in for some fruits and veggies, locally made cheese and a loaf of fresh bread. 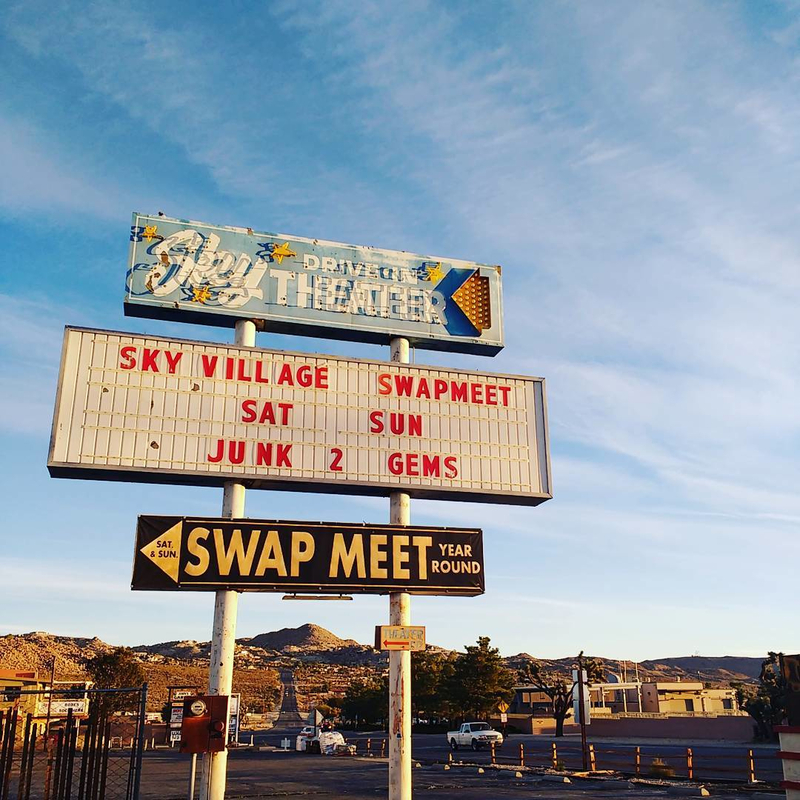 SC & RC: This is our desert flea market, held every Saturday and Sunday. We've found the first Saturday of the month to be the best, though and have collected so many great books, records and weird desert trinkets for our design projects here. SC & RC: Noah created a series of sculptures using reclaimed items throughout his life in the desert; each one feels like stepping into one of his memories. 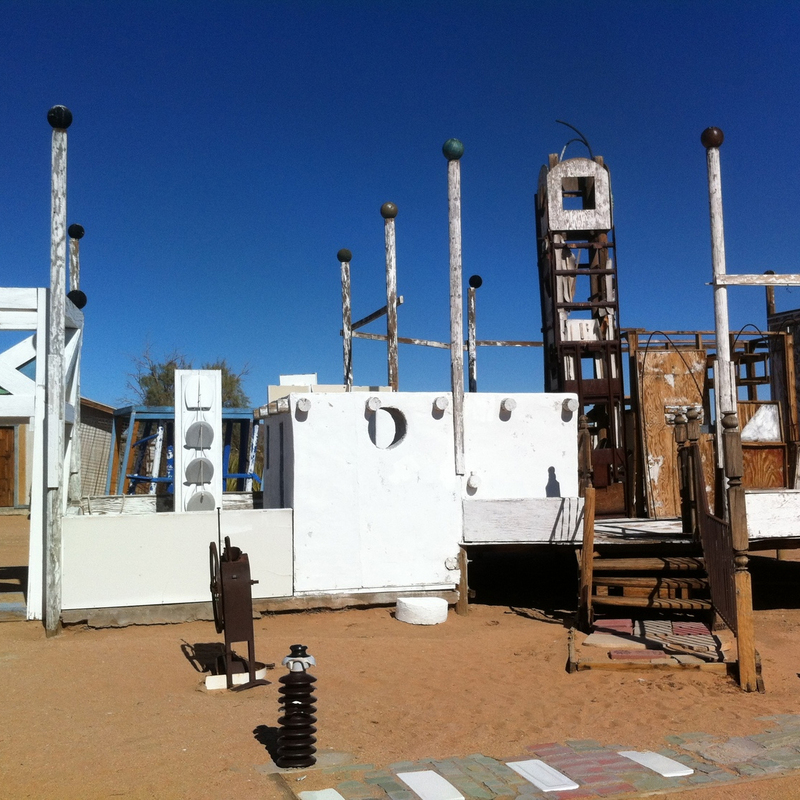 Joshua Tree wouldn't be the same without this sculpture garden. 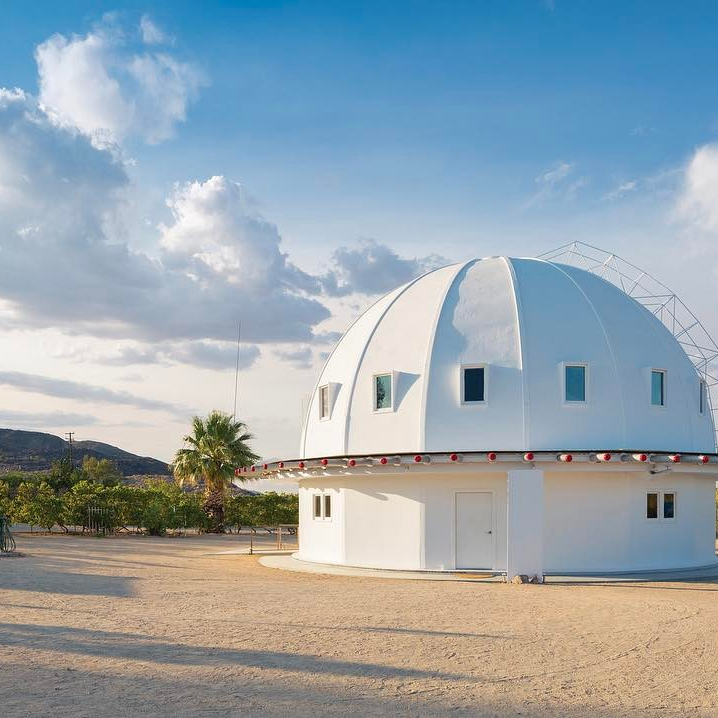 SC & RC: The Integratron has an incredible history, which you should learn all about when you get a sound bath of your own here! This is the perfect place to relax and begin a trip in JT. 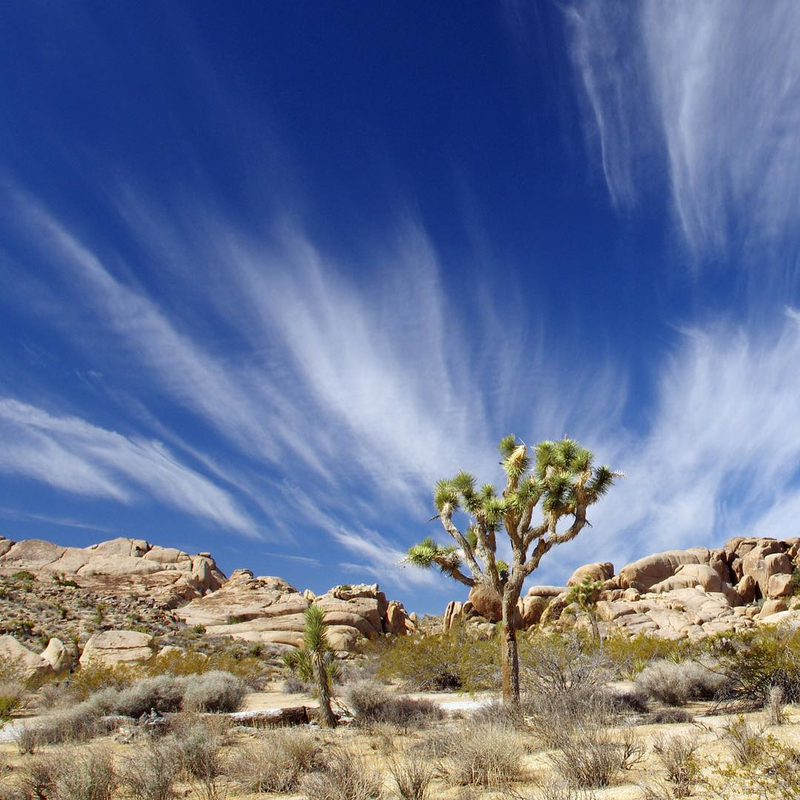 SC & RC: The North View Trail is one of the first trails as you enter the west entrance and is complete with stunning views, boulders and Joshua Trees; a park favorite at the moment. SC & RC: The perfect place for a picnic with friends as the boulders in this area are especially breathtaking.